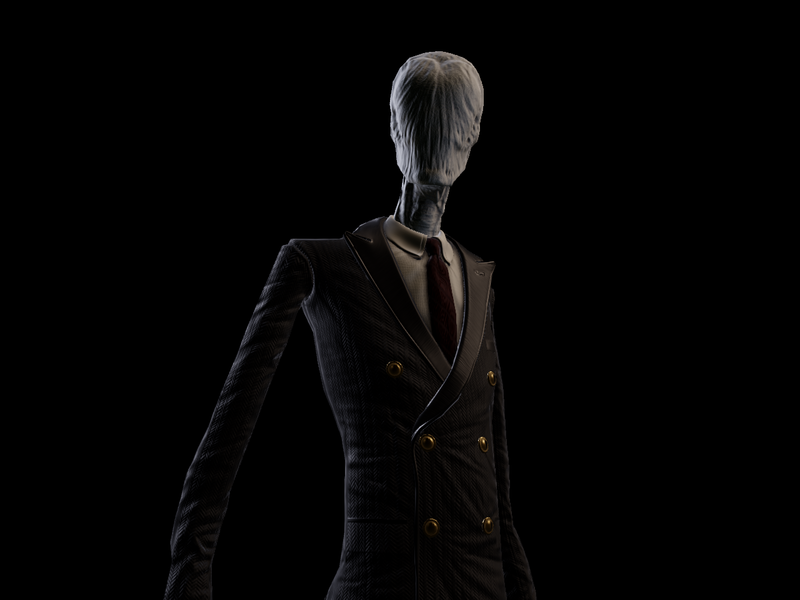 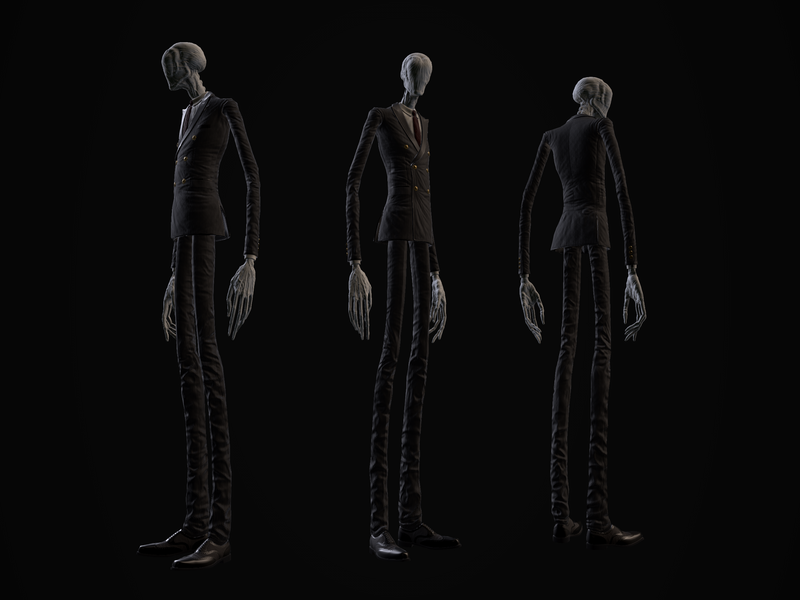 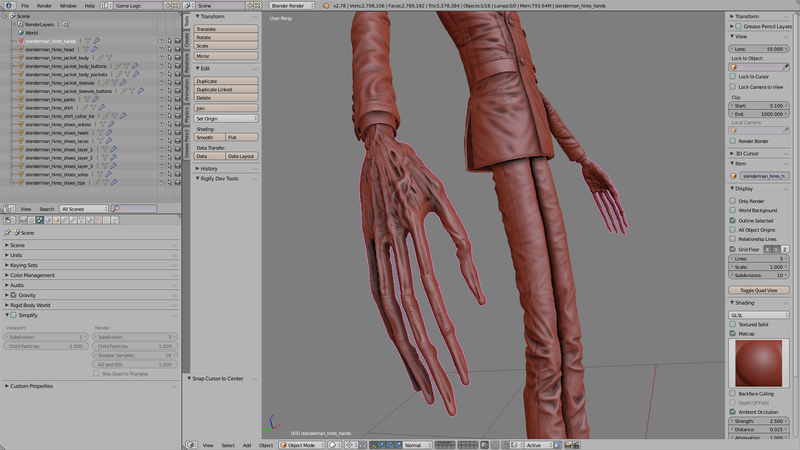 This is a free and open-source character model interpreted from the Slender Man creepypasta mythos, designed for use in PBR-capable game engines such as Unreal Engine 4 and Unity 5. If its decidedly 'non-canon' appearance can be forgiven, I'd love to see it find a way into one or two of the creepypasta community's game, animation, or film projects! 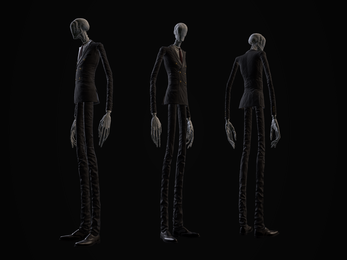 NOTE: Bear in mind that Eric "Victor Surge" Knudsen claims intellectual monopoly over "Slender Man" as a character, which may present legal problems depending on your intended use of the asset pack. 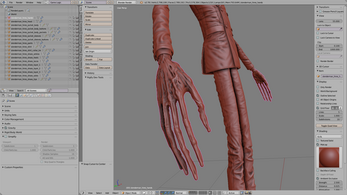 The model has been fully rigged using Blender's Rigify add-on, which can be exported for use in both UE4 and Unity. 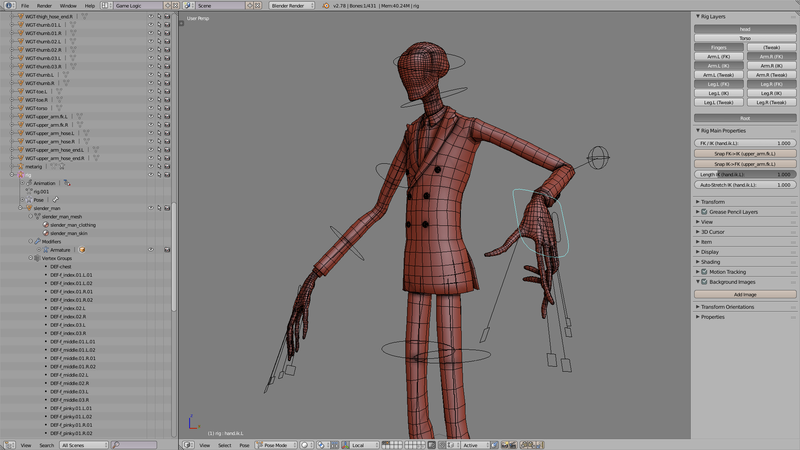 NOTE: The model is not animated - only textured, rigged and ready to animate! 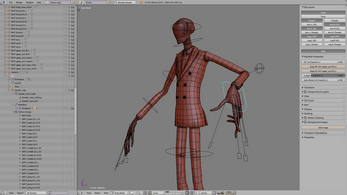 ALSO NOTE: The rigged model is in .blend format (an unrigged .obj is included), so in order to animate the character or export it to other formats, you will need the free/open-source software, Blender.